I love icing, but not fluffy cake. I know, I’m the odd one out, but stick with me here. To fulfill my cravings I frost another delicious dessert, cookies! Recently, I got the wild idea to create some unique frosted fillings for holiday sandwich cookies, and these delicious beauties were born: Mint Chocolate Chip, Lemon-Iced Gingerbread, Berry Sugars, and Maple-Doodles. 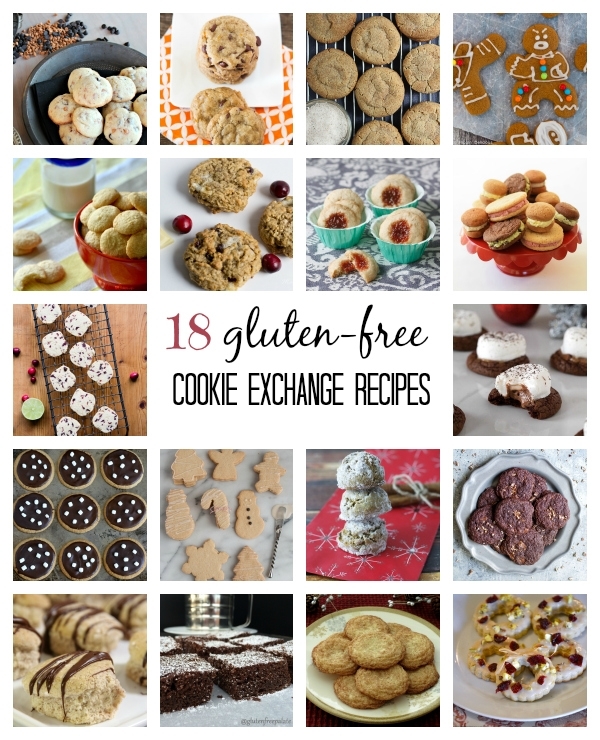 I used an assortment of Enjoy Life Cookies in these recipes because a) they come in so many awesome mix & match flavors for making holiday sandwich cookies with both crunchy and soft options; b) they are just so darn good that EVERYONE likes them (and almost everyone can eat them – they’re allergy-friendly); c) they’re dairy-free and gluten-free so both Tony and I get to indulge; and d) they are perfect for joining in the virtual Gluten-Free Cookie Exchange! So which holiday sandwich cookies are my favorites? I have to go with the Mint Chocolate Chip filling with Soft Baked Double Chocolate Brownie Cookies (pictured at the top of this post and in the image below; with crunchy cookies just above – awesome from frozen!) followed by the Berry Creme Filling with Sugar Crisp Hand-Crafted Crunchy Cookies (pictured just above). But I must admit, they’re all pretty darn amazing. 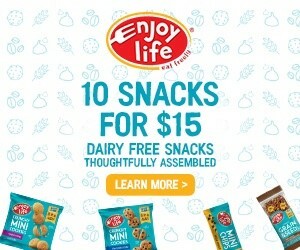 This post is sponsored by Enjoy Life Foods, but we have been big fans (and consumers) of their cookies for years! 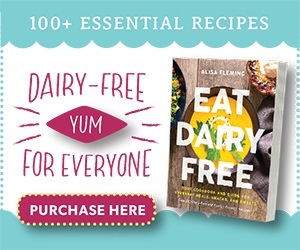 By ingredients, all of the flavors below are dairy-free / non-dairy, egg-free, gluten-free, nut-free, peanut-free, soy-free, vegan / plant-based, vegetarian, and generally top food allergy-friendly. 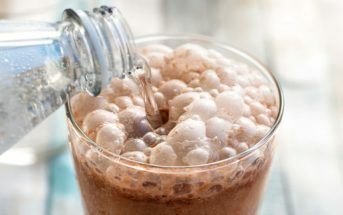 Many cookie filling recipes use a liquid to soften them. I stick with a simple shortening / sugar base with no added milk beverage in order to keep the sandwich cookies shelf-stable for the life of the cookies - yes, you can make these ahead. In fact, they taste even better on the second day! Simply store in an airtight container at room temperature to keep the cookies fresh. 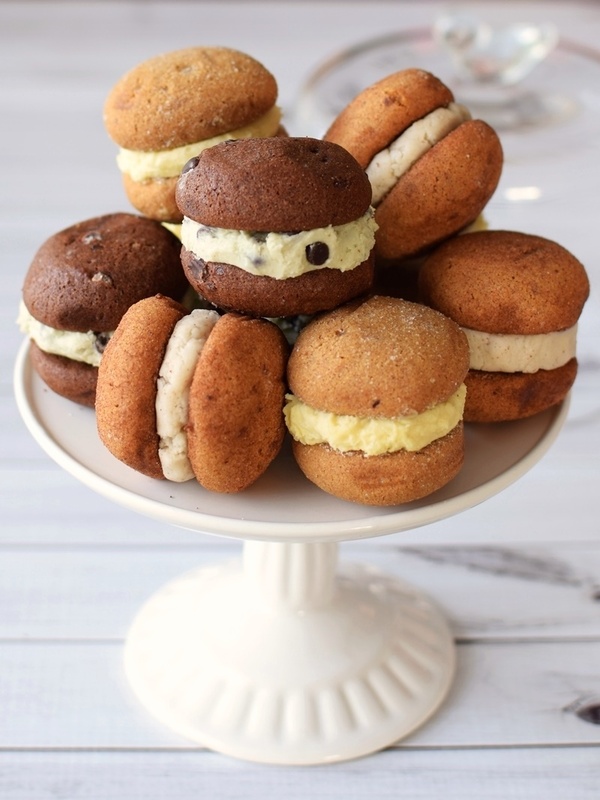 Serves: As many cookies as you like! To make the filling, place the powdered sugar, shortening, and salt in a medium bowl and mix until smooth (a hand mixer helps). It will be dry at first, but should come together. 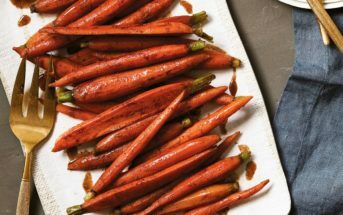 Stir in the add-ins for your desired flavor (using the color ingredients as needed to get the shade you desire). The mixture should be quite thick, like an Oreo icing. But if too thick, you can add a little more shortening - it will still be quite sweet! 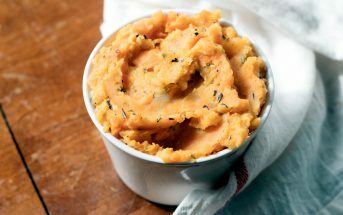 *I tested this recipe with both Spectrum Organic Shortening and Nutiva Organic Shortening. We liked the filling texture a touch better with the Spectrum, but used the Nutiva in the Lemon Filling for its natural yellow hue from red palm oil. **I use a spice grinder to quickly grind the freeze-dried raspberries into a powder. Can't find raspberries? Sub in your favorite freeze-dried berries! 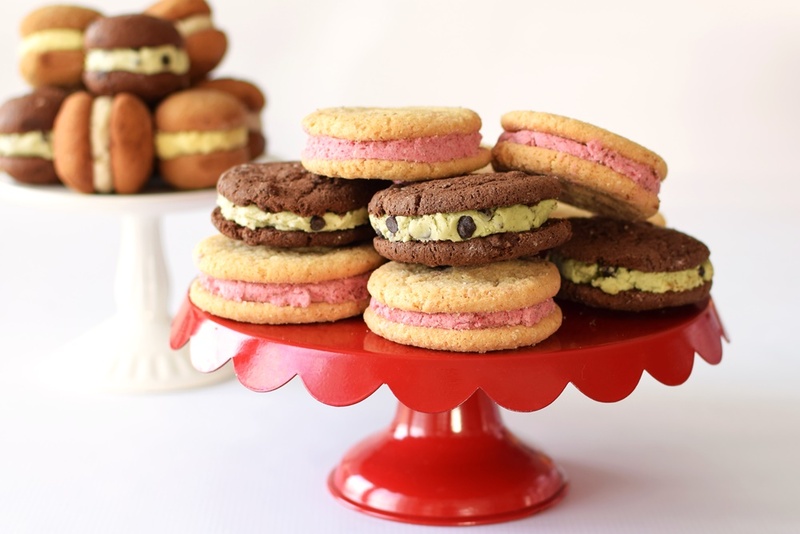 Those all look really good, especially the mint filling with the brownie cookies! Thanks for the filling recipes, I’ll have to try those 🙂 My favorite sandwich cookie is a classic… Oatmeal cookies with marshmallow creme! My favorite Enjoy Life cookie is the crunchy chocolate chip. I just ate some more of the mint ones (we made A LOT of test batches) and I swear they just get better after a day or two – the flavors really settle. Oatmeal w/ marshmallow creme?! That sounds AMAZING! Thanks for sharing that idea Arianna. Can I pick my favorite filling flavor instead?!? I’m a huge LEMON fan and I think that one would go on just about ANY cookie and make it even better!! (But the maple is sounding pretty awesome too. Hmmmmm……). Haha, of course! And I’m trying the lemon with the Sugar Crisps next – it is surprisingly awesome (I didn’t think I would like lemon so much but kept adding more extract! These look amazing! What a pretty, sweet treat. Wow, those sound amazing Michele – I’ve never had that type of biscotti. Does she grind pistachios into the dough or keep them as chunks? She just gives the pistachios a rough chop and mixes them into the dough. For the cranberries she usually uses Craisin’s. Good to know! Thanks Michele. Those are adorable! I love all the different filling ideas.. there’s something for everyone.. 🙂 Raspberry creme filling sounds really, really good… mhhh I have to make these asap. Pinned! Thanks Bianca. 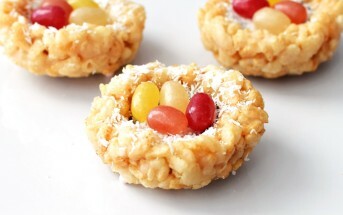 It is awesome – slightly sweet tart on its own, but in the cookies… heavenly! These are so cute and easy! And so many different options to try. I can’t wait to try the Sugar Cookies with the berry filling. I just love Enjoy Life’s cookies! Wow, I’m drooling! 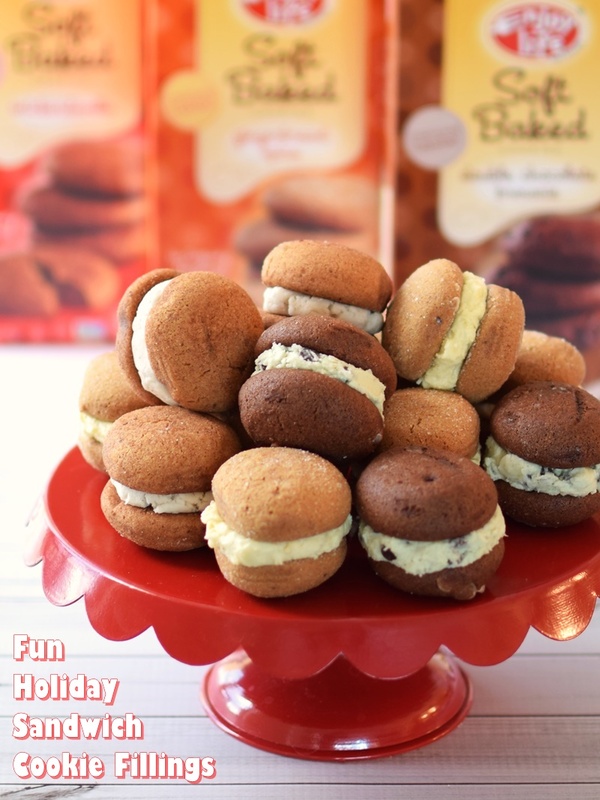 I love the Enjoy Life cookies, they are the only kind I will buy because they have such quality ingredients and making holiday sandwiches out of them is such a fabulous idea! YUM! 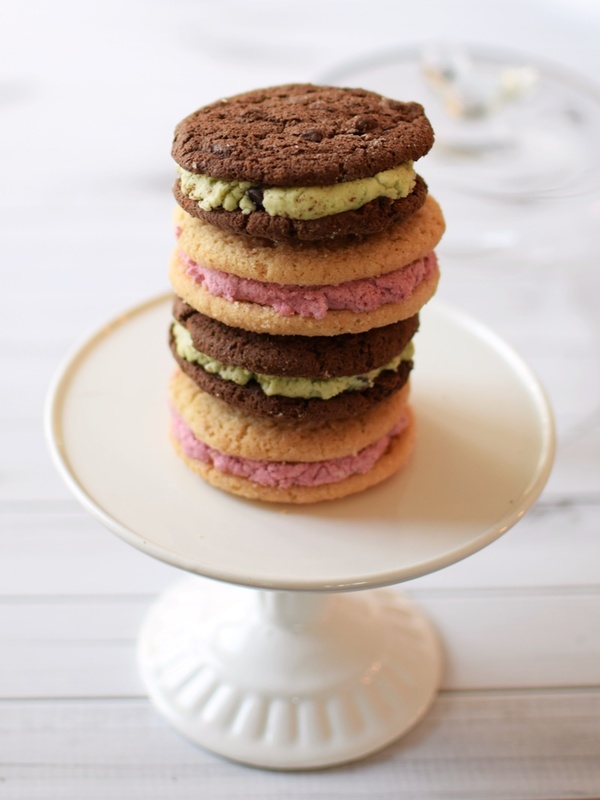 For cookie sandwiches I love pistachio cookies with rose buttercream or the classic oatmeal cookies with vanilla buttercream. Ooh, that sounds like such an intriguing combination! And oatmeal-vanilla is one of my favs, too. Wowbutter Blossoms are a holiday favorite in our home! Fun! Do you use Hershey’s kisses, or do you have a good dairy-free center for them? I absolutely love Mexican Wedding Cookies. So good! It’s been years since I’ve had those – I may need to make some. Thanks Meg! My house loves to do a cookie variety–one chocolatey, one graham/sugar/simple, and one more festive! In the past, for sandwiches, we bought little animal shaped molds and used brownies as the outside, instead of cookies! That is such a super-cute idea Brianna! I may have to try that. I like the Sugar Crisp cookie for Cheesecake crust! That is a heavenly idea Dee! That sugary crust no doubt takes it up a notch. Pingback: gluten free vegan orange chocolate chip cookies + $50 target gift card giveaway!